The Advertiser continues its exposure of Minister Leesa Vlahos who is further embarrassing the state of South Australia by failing to resign. 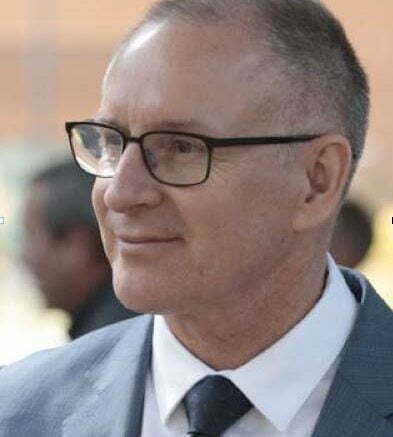 Unpopular Premier of the state Jay Weatherill is no where to be seen or heard as this latest scandal grabs headlines around the nation and the world. South Australians must be wondering if they can wait another year before removing this government and beginning the job of purging the state from what appears to be systemic and systematic corruption of the highest order. NEW evidence reveals embattled Mental Health Minister Leesa Vlahos ignored warnings of abuse at Oakden and Premier Jay Weatherill’s silence on the scandal shows he “doesn’t care”, the Opposition claims. Ms Vlahos on Thursday came under further pressure to resign after the release of a damning letter sent to the State Government by Federal Labor MP Tony Zappia in 2014. The letter said a constituent, now known to be whistleblower Lorraine Baff, believed serious understaffing at the state-run site raised “a high risk of a severe injury or death at the facility”. The letter was addressed to Health Minister Jack Snelling, but Ms Vlahos responded on his behalf and dismissed the warning. A review by Chief Psychiatrist Aaron Groves, triggered two years later, uncovered serious and long-running claims of abuse, over-medication and understaffing at Oakden. Ms Baff on Thursday said she attempted to contact Mr Snelling in December 2014 with specific concerns about the care given to husband Jim at Oakden, but had no response. Mr Weatherill has been on leave since Dr Groves’ report was released last week and it’s not known if he has read the document or had any contact with Ms Vlahos. Opposition Leader Steven Marshall said there was now overwhelming evidence she knew about problems on the site and must now resign. This includes the letter exchange and Ms Vlahos’ delaying of a visit to the Oakden facility despite pleas from an expert psychiatrist. He said Mr Weatherill should have read the report two weeks ago when it was completed. “He (Mr Weatherill) had every opportunity to read the report,” Mr Marshall said. “He was sitting less than 10m away from her (Ms Vlahos) in Parliament when she had it in her grasp. He failed to even ask her what the contents were. “We’ve now had 18 days since the Government received the report, and Jay Weatherill hasn’t read it. Acting Premier Kyam Maher would not say if he had spoken to Mr Weatherill about the report. “Minister Vlahos is doing a good job addressing what is a very difficult situation,” he said. “The report … was very critical of a culture of secrecy of leadership and staff at Oakden. Mr Weatherill returns to work over the weekend, and will head to the remote APY Lands for a round of community Cabinet meetings. Labor insiders say Ms Vlahos has his support. The Premiers efforts to cover up the scandal is creating more outrage as South Australians begin to realize there is no apparent responsibility for Ministerial oversight.